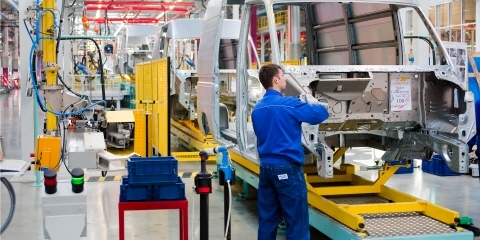 How do you prevent accidents in the workplace? What measures can be taken to understand risks and save lives? 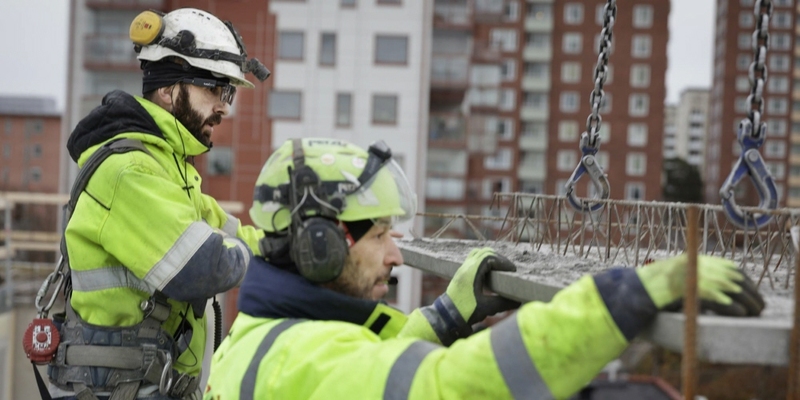 Sadly there's no one-size-fits-all approach to these questions, but there are many things which can be done to reveal dangers and substantially improve workplace safety. About 5,000 people die in workplace accidents each year in the United States, while close to 4,000 are killed in workplace accidents across the EU – globally that figure is close to a staggering 2-million, making workplace safety an issue you can't afford to ignore, especially as an employer. In this blog post we will explore how eye tracking can deliver vital information on human behavior and highlight issues you may not be aware of. 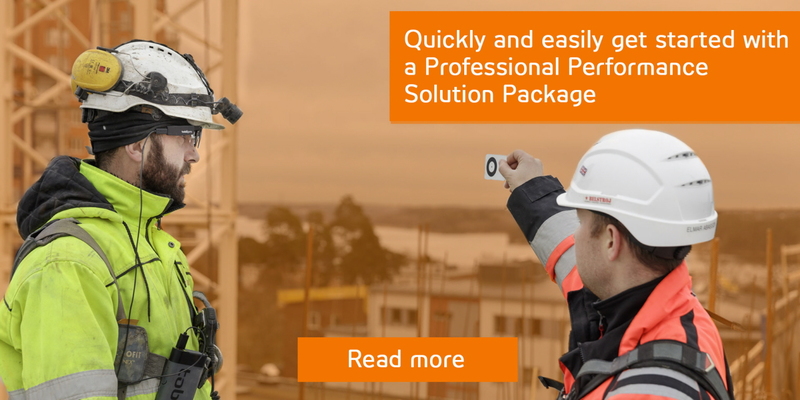 It may sound obvious but having a thorough understanding of your workplace and how employees operate within it is an essential part of pinpointing and fixing hazardous situations. Most people would say they know their office or worksite exceptionally well, and while this may be true, it's also the cause of many problems. It's easy to become desensitized to your surrounds and operate on 'autopilot' when carrying out routine tasks. Human error is blamed for about 80% of all occupational accidents and a lack of situational awareness is often the root cause, not because staff lack the knowledge to be aware of the potential dangers, rather they are blind to them. By using eye tracking technology, such as eye tracking glasses, you can observe and record exactly where someone is looking. This information can be presented as a 'gaze blob' on a video of the environment they're in or combined with the data of multiple people to form 'heat maps', which visually depict collated gaze data. The beauty of eye tracking is that it provides unbiased and extremely accurate information on how people perceive their surrounds. It allows you to access subconscious visual behaviors which individuals are not even aware of themselves, and in this way, you can gain a deeper level of insight into their cognitive processes and how they interact with their environment. Where we look reveals a lot about our thought processes and attention. In a workplace setting such as a factory or construction site you can observe and study how staff focus their attention when carrying out routine or dangerous tasks. For example, with eye tracking you could see if a forklift driver notices his or her surrounds, do they take note of things in their peripheral vision, do they look for known hazards, do they see unexpected dangers such as precariously stacked pallets, spilt liquid, other drivers, or people walking too close? Similarly, you can use this technology to assess if staff are prepared to execute an emergency plan or operation. Eye tracking can reveal if the steps are followed in the most efficient manner and if there are any inhibiting factors or confusion over the instructions and procedures. Researchers at the University of Nebraska-Lincoln undertook a study using eye tracking to study situational awareness on a construction site. Since eye movement is correlated with cognition, eye tracking can provide an objective and quantifiable link to an individual's situational awareness. The findings showed that those with high situational awareness directed their attention in focused and distributed ways, canvassing more of the surrounding environment, while those with a low situational awareness focused most of their attention on the task at hand. From this it was easy to see that those with a low situational awareness are less likely to react to danger. This method can be used to test the effectiveness of safety training, create benchmarks for identifying 'at-risk' workers and illustrate best practices to employees. 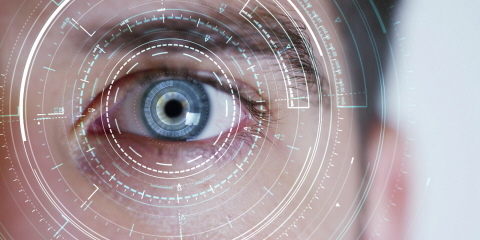 Eye tracking as tool to pinpoint unknown hazards. You don't know what you don't know, and often a hazard isn't realized until an incident occurs. By using eye tracking you're able to see situations from a different perspective and identify situational or environmental conditions which contribute to staff distractions or roadblocks in your systems. 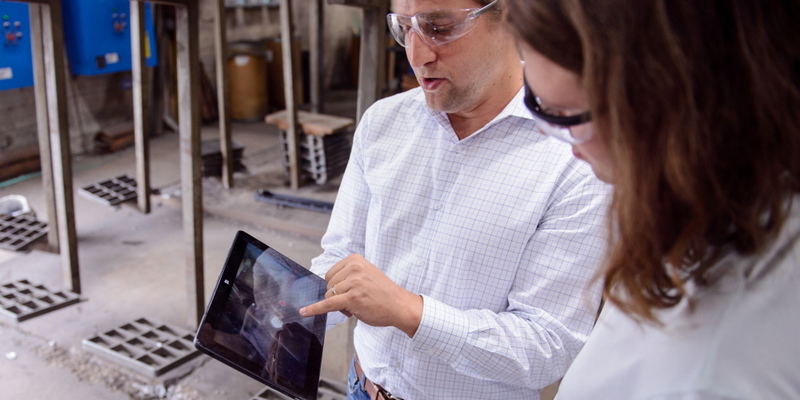 Tobii Pro Insight conducted some research for H&H Castings, a metal foundry in the United States, and identified a visual pattern which occurred before the spilling of molten metal. Workers were asked to wear eye tracking glasses while pouring a mold. This task is incredibly time sensitive and can't be stopped or slowed down to allow for observation. The gaze data not only revealed the variation in visual attention which led to an accident, it also identified methods of best practice from some of the more experienced staff, which could be incorporated into training. This could easily be applied to other industrial processes where it's not practical or possible to halt operations. Eye tracking can also alert you to elements of an industrial process which divert workers' attention at critical moments, or objects which get in the way of tasks or visual observations allowing you to remedy them. Some jobs have such high inherent dangers that workers can't begin operating without extensive training, often in simulators. This could be mine workers, pilots, drivers and doctors. Virtual reality allows for the creation of versatile, realistic and immersive environments with basically no adverse consequences. When combined with eye tracking this system allows you to interact with the environment and obtain the benefits of eye tracking data. The applications for this are immense. 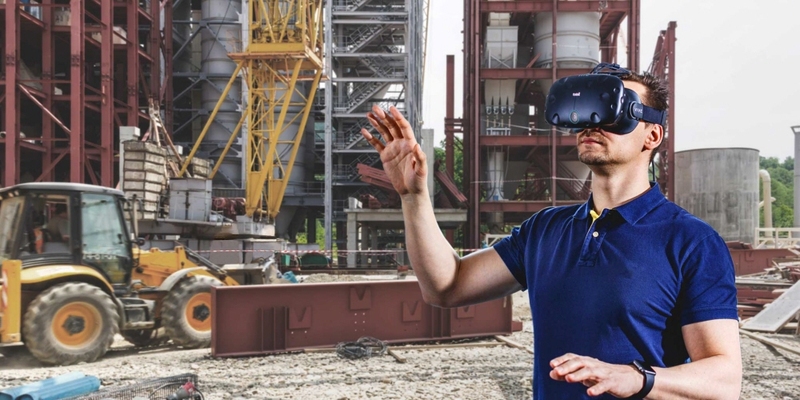 Thanks to VR with integrated eye tracking, it's possible to create an entire construction site with machine interfaces and other equipment for employees to train in before they face the real thing. You can have tasks and environments with varying degrees of difficulty and introduce problems or hazards to train workers in the correct response. The beauty of VR is that it's safe and isn't dependent on geographical locations, weather, or time. You're able to duplicate it inside any compatible headset, meaning staff all over the world can be trained within the same setting. The collected gaze data allows trainers to see how workers interact with their surrounds, where they direct their attention and how they mentally process various tasks. This, of course, is also tremendously beneficial for training and assessment in relatively safe professions as well. How to get started in eye tracking research to improve safety. Beginning an eye tracking research project may sound difficult but it doesn't need to be. Consultancies like Tobii Pro Insight can assess your needs and desired outcomes and run the study from beginning to end. 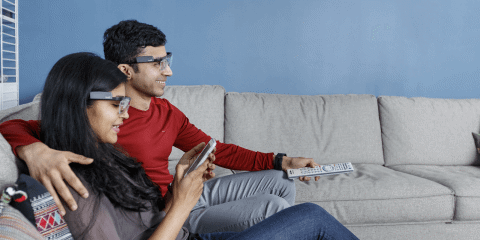 While some knowledge is required to interpret the data, the logistics of carrying out the data collection is rather simple as wearable eye trackers like Tobii Pro Glasses 2 are small and unobtrusive. There is a huge breadth of knowledge to be gained from using eye tracking to assess your workplace and often the insights gained have the potential to save lives and costly medical or insurance bills. Differences aren’t deficiencies: Eye tracking reveals the strengths of individuals with autism. Would you like our research consultancy to conduct an eye tracking study for you?